Pinterest is not to be ignored if you want to buy or sell products online. You might be thinking, I’m already on a bunch of social media platforms…do I really need to have my business on Pinterest? 93% of Pinterest users say that they use the platform to research a purchase and 87% say they have actually completed that purchase. In addition to this – Pinterest users are typically female (81%) making over 50k per year…meaning they have high purchasing power. What these statistics are telling us is that Pinterest users are not just planning their dream wedding or fantasy home – they are using the platform to decide what they want to buy and they have the ability to follow through on the sale. Pinterest encourages spending with the aspirational natural of Pinning – which is essentially a visual wish list – and then combines that with powerful and free tools for merchants. So are you ready to get started with Pinterest yet? When getting started with Pinterest you will see that you can create two types of accounts – personal accounts and business accounts. There is an important difference. At a minimum, you will want to create a Pinterest business account for your brand. This will allow you to have access to overall Pinterest account analytics, Rich Pin options, advertising options, Buyable Pins, and statistics for individual pins. Posts from this account will appear as if your business is posting rather than an individual person – the first and last name for this account are your business’s name. 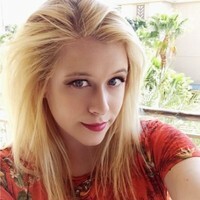 Depending on your industry, or brand you may also want to create a personal account for yourself if you wish to promote your personality alongside your brand. For instance, if you worked in the fashion industry it might be appropriate to create a personal account because your customers are interested in your personal style. One of the easiest ways you can begin interacting with Pinterest is to use the “Save” button on your Website. This lets your visitors do the Pinning for you. By including this button on your product pages, your customers can save your product images from your eCommerce store directly onto Pinterest – essentially letting your customers help promote your products. Pinterest makes it easy to grab the code for their “Save” buttons, or your development company can work with you to implement this feature seamlessly into the design of your eCommerce platform. Pins are the primary feature of Pinterest. You can think of them as posts (such as on Twitter you have Tweets and on Facebook, you have status updates) – images, links to websites, products, recipes, etc. that are “pinned” onto different boards. You can Pin things directly onto Pinterest or you can Pin things from other sites when you see a “Pin It” button or with the help of a browser plugin. Just like writing effective product descriptions for your website, you need to have some strategy when it comes to writing the descriptions for your pins so that they are searchable. Make sure you include a few keywords that describe what the product in your pin is but don’t over stuff the description with keywords so that it sounds unnatural or forced. 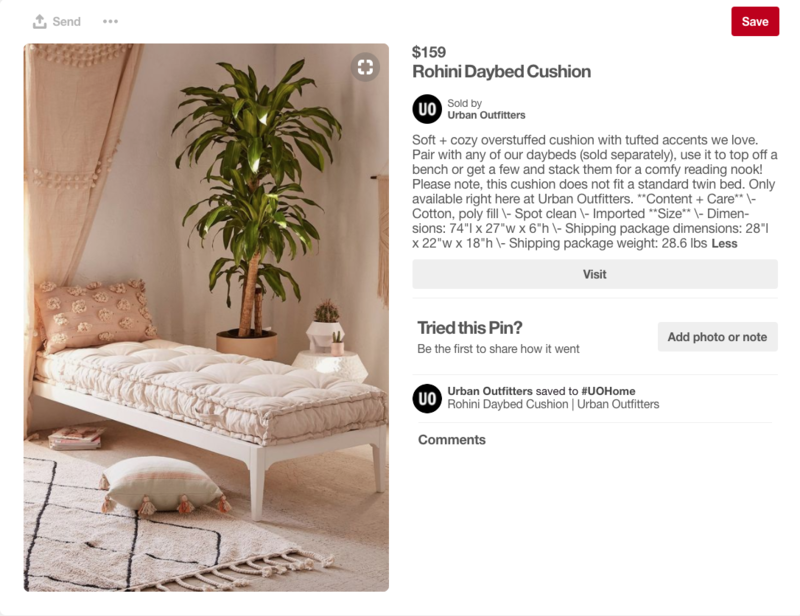 We almost didn’t notice that this was a Pin from the company Nordstrom in our Pinterest feed – the imagery and description are natural, giving advice for home decorating with one of their products. It draws you in to learn more – without feeling like a forced advertisement. Pinterest gives merchants a lot of power when it comes to Pinning products to the site – primarily in the form of Buyable Pins and Product Pins. Sell your products right on Pinterest – it’s free. Essentially, a buyable pin is a pin with a buy button that leads directly to a sale through the Pinterest interface – your customers never have to leave Pinterest for them to complete the sale. Why is this a good thing? Well – it’s simple. Buyable pins are an easy (and free) way to drive eCommerce sales from a popular social media site that your customers are already using. Your customers can find these buyable pins all over Pinterest – in search results, in related Pin suggestions, on users’ boards, in your business profile, and more. Buyable pins work seamlessly across mobile and desktop platforms – so if your customer saves a pin on their desktop, they can easily go back and buy it from their mobile device later. Buyable Pins offer an easy way to meet your customers where they already hang out online. 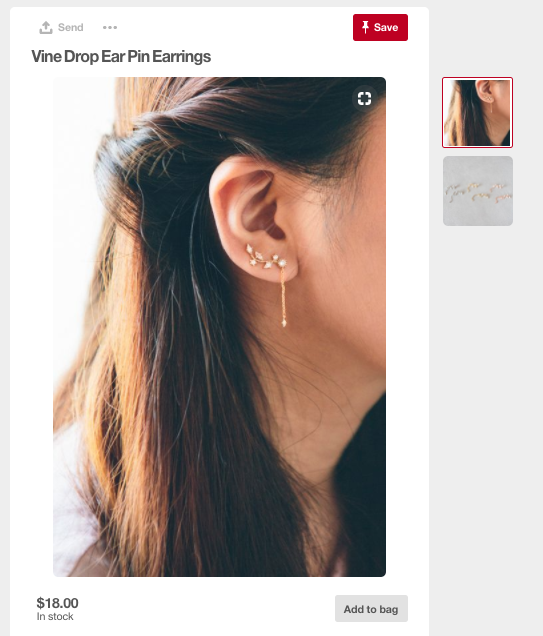 Let’s look at an example of a Buyable Pin in the wild – I just pulled up my Pinterest account and searched “earrings”. Here we see a pin with a price – if we click on that pin we see the option to add it to our bag – the same way a customer would on any eCommerce site. Once you have made any size, color, or other selections that may appear for the item – in the case of these earrings I had to choose a color (Rose Gold), the item appears in your bag. You can find your bag in the top navigation bar – it’s the little bag icon. If you click on that icon you are taken to a check out screen where you can check out with your selected products. We already know that the average Pinner has high purchasing power – combine that with a solid Pinterest strategy (we’re getting to this), with just a few taps on their mobile device or desktop browser a viewer can purchase an item from a ­­Pin with the power of buyable Pins. Buyable Pins are a great way to make additional eCommerce sales in conjunction with those that you already make on your eCommerce store and reach customers that may have not otherwise known about your products. Product Pins are a type of Rich Pin – Rich Pins pull data from your website to provide additional information to the pin. 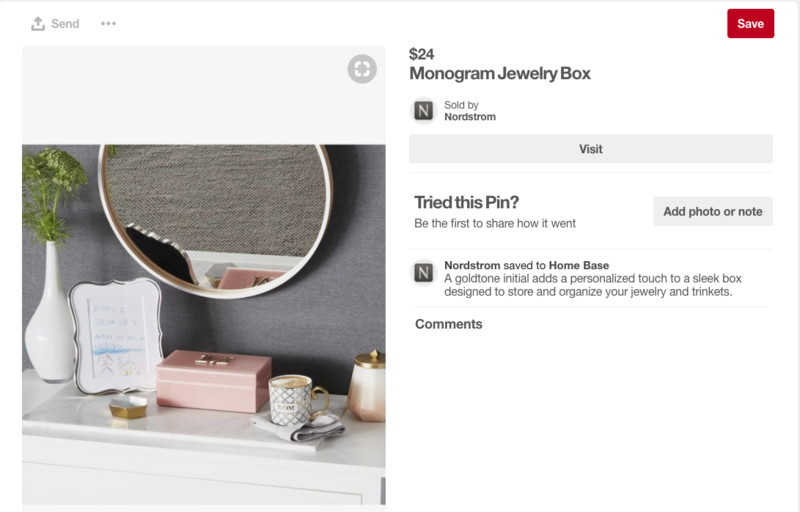 Product pins are slightly different from Buyable Pins, because while they do provide information about your product on Pinterest, they do not let the user buy that product directly from Pinterest. Product Pins include information such as the products price, availability, and where to purchase the item. A Product Pin must link to the product’s landing page on your eCommerce store where a customer can buy the product. Pinterest states that you should NOT use Product Pins if your website only shows products that users must travel to another site to purchase. Product Pins can be a great way to drive traffic to different product pages on your eCommerce store. When you Pin an image to Pinterest, you assign it to a board. Typically the best practice for Pinterest boards is to assign them a theme, or topic. When you assign your board’s themes they attract more interest and are more likely to show up as recommended. Themed boards make it easy for customers to find what they are looking for not only for themselves but as gifts. Board names should include keywords you know your customers are searching for and can be as niche as you want them to be – there is no limit to how many boards you can create. You can also rearrange the order of your boards in your profile, so as to put the most seasonally relevant boards first. You should always be Pinning with a purpose in mind. Choose Pins that are relevant to the theme of your board. Try to include a mixture of Pins that are your products/content and 3rd party content that fits with your theme. While the goal here is to promote your own products, people can be turned off if you are over Pinning your own products. Try to space out where your products are Pinned on your boards with other content. 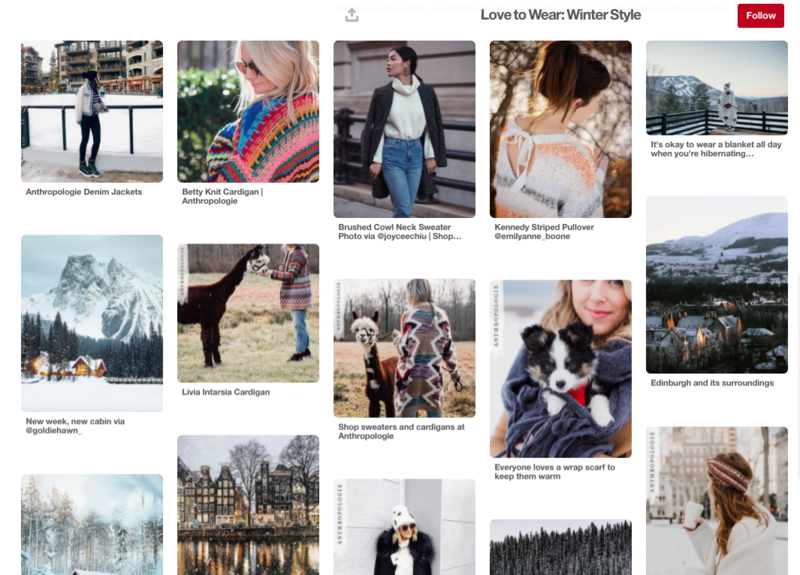 When you are first starting out on Pinterest it’s okay to Pin a lot all at once, but as time goes on it’s better to Pin regularly rather than in large quantities all at once. You should always be aiming to inspire people on Pinterest. Pinterest is a platform that thrives on visually stunning images. Make sure you are choosing products that photograph well and utilizing images of your products in life settings. Your goal should be to inspire potential customers with your products so that they want to buy them. Present your products in a way that gives customers an idea of how they could be used in their own lives. Just like on Twitter, Facebook, and Instagram, you want to engage with your followers directly. Respond to their comments, answer their questions, follow their Pinterest boards, comment on their Pins – there are dozens of engagement possibilities on Pinterest. There are dozens, if not hundreds of ways you could creatively spin your marketing on Pinterest to generate sales for your eCommerce business. The best way to find out how to make Pinterest work for you is to dive in and start getting your hands dirty. Are you already using Pinterest to generate eCommerce sales – let us know what works for you! Connect with us on Twitter or Facebook. Want to revamp your digital marketing strategy? Connect with a member of our team today and start reaching your eCommerce goals.